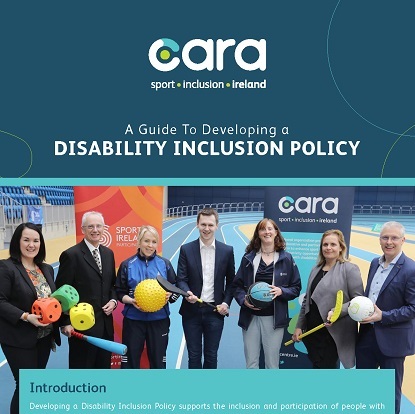 This resource will guide you in developing a Disability Inclusion Policy, which will help your organisation planning on what you can do to be more inclusive. 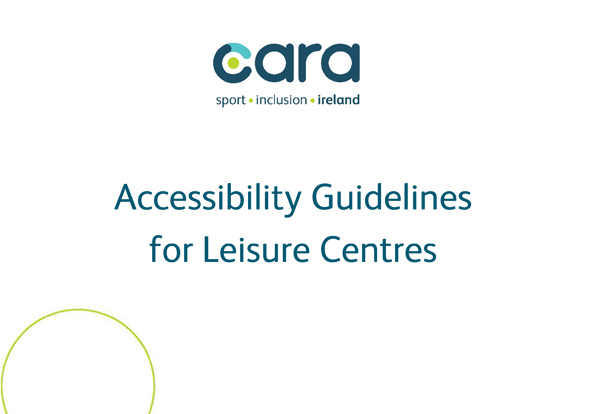 This resource will guide you through 8 key areas that need to be considered when making your leisure centre accessible and inclusive. 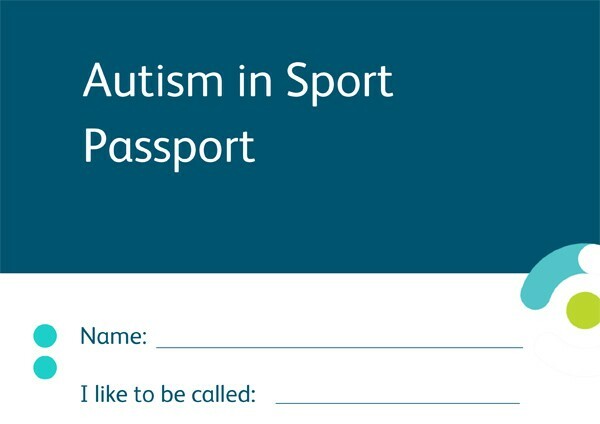 The Passport is a tool for coaches and clubs to gather information about a participant with Autism. 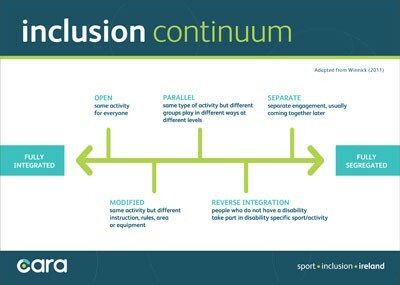 learn about the types of opportunities and choices you can provide in a range that goes from “fully segregated” to “fully integrated” activities. 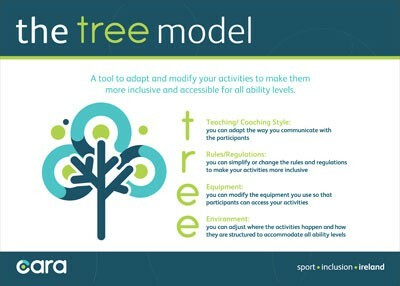 Apply this tool to modify and adapt your activities/sessions to make them more inclusive and accessible for all ability levels.